You're in for a treat today goons and goblins. 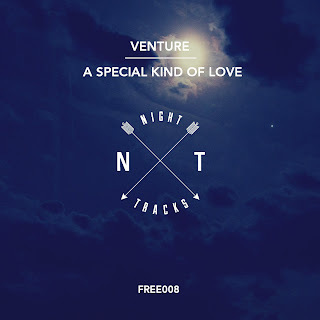 To celebrate nailing down what I consider to be his best work yet to Night Tracks, Venture has decided to give away one of his older tracks as a free download. 'A Special Kind Of Love' is an archetypal Venture tune, with lush pads fading in and out over shifting minimal drum patterns. It's a pretty old tune, but definitely worth a download, so click on the artwork below to download it or check out the preview below. A bit of news on the other forthcoming releases now. There's a release by London and Leeds based production duo Mosket planned, Tek Som/Knock Turn All, which you can check out below, but the tracks are currently being reworked, so who knows how it's going to sound when it's finished? Also being worked on is a release by my man, eplp (who I interviewed before and he gave away a free tune), who is, quite confusingly, releasing an eplp EP through Night Tracks. I'd love to one day release an eplp LP, but who knows. Meanwhile, check out one of the tracks from the forthcoming release below, featuring Alpenglow, called 'Blue Evening'. There's another track that's being kept on the down low for now, but I can assure you, it's quality stuff. I'm also getting sent some quality tracks too, have discussed releasing some of them with the artists, so hopefully that'll come off, because man, they are good. More on that in the future!